Joshua Hornsby says he will always cherish the moments he had with his nine-year-old daughter Ja'Nae, remembering her as energetic, lovable and kind, before she perished in the deadly tornado that ripped through Moore, Okla. Sarah Stewart reports. A mother who sought shelter in a 7-Eleven that collapsed under the force of tornado winds, killing both her and her four-month-old son, are among the victims whose names were released by Oklahoma's chief medical examiner Wednesday. Megan Futrell, 29, had just picked her son Case up from his babysitter on Monday in Moore, Okla., when she saw the tornado approaching their Oklahoma City suburb of Moore, relatives said. Thinking she would be safest inside the local convenience store, she hunkered down there with Case. But the EF-5 force winds, which exceeded 200 mph at times, blew the 7-Eleven in on top of them, burying them and two others in the rubble. 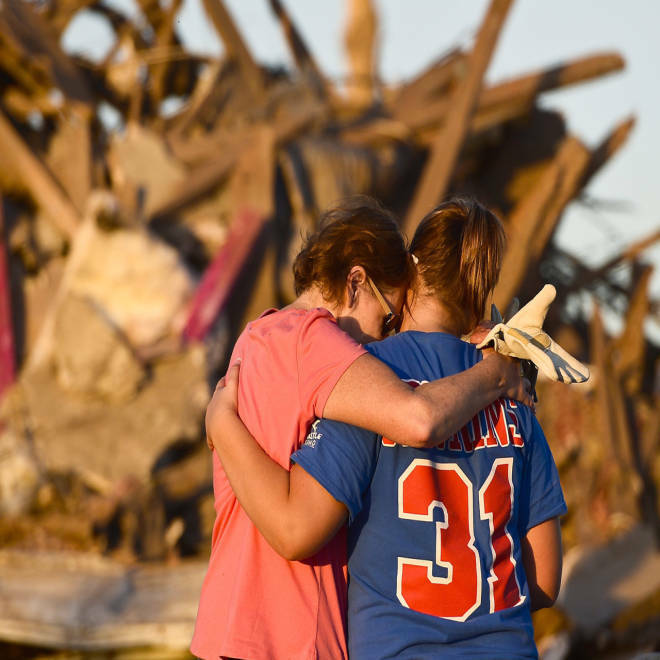 On Wednesday, as Oklahoma chief medical examiner Ron Craun began releasing the names and ages of the 24 victims known to have died in Monday's devastating tornado, Megan Futrell's cousin remembered her as a generous person. "She's the kind of lady that would give you the shirt off her back," Blake Pulliam, 20, said. Case Futrell was the youngest victim of Monday's tornado. A seven-month old girl, identified as Sydnee Vargys, was the next youngest; Karrina Vargyas, 4, was on the list of victims as well, but it was not immediately clear what her relationship to Sydnee was. The two infants both died of blunt force trauma to the head, the medical examiner said. 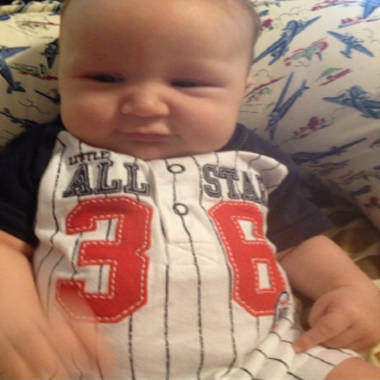 Case Futrell, 4-months-old, killed when the Moore tornado hit a 7-Eleven on Monday. The tornado zeroed in on suburban Moore, decimating two elementary schools and the local hospital and wiping out entire neighborhoods. Gov. Mary Fallin said 237 people were injured by the twister, but authorities warned both the injured and death toll could rise. Ten of the 24 people on the medical examiner's victims' list were children, seven of whom were killed at Plaza Towers Elementary School in Moore. Six of the children were listed as 9 years old, and one was 8 years old. Among them was Ja'Nae Hornsby, a 9-year-old third grader at Plaza Towers. She was described by her family as "always smiling" in an interview with NBC News on Tuesday. Her father, Joshua Hornsby, tried to race to Plaza Towers after the tornado hit to pick up Ja'Nae, only to get stuck in traffic on his way from work. By the time he got to the elementary school, it was just a pile of rubble, and Ja'Nae was nowhere to be found. After a night of making calls to local hospitals, the family, by then gathered in a church in Oklahoma City, got the call they had been dreading from the medical examiner's office. 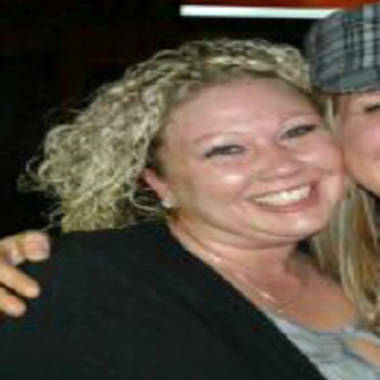 Megan Futrell, 29, killed when the Moore tornado hit a 7-Eleven on Monday. Five of the eight- and nine-year-olds died of "mechanical asphyxia," which Gov. Fallin's office said referred to "suffocation ... not drowning," despite previous reports that the seven children who died at Plaza Towers Elementary had drowned in the building. In a grim description of their final moments, Alex Weintz, communications director for the governor, said objects fell on the kids, pinning them to death. "The children suffocated as they were crushed." Hermant Bhonde, 65, was also identified late Tuesday as a victim. His family told NBC News that he had become separated from his wife when the tornado hit their house, but that his wife survived the twister. Ten of the 24 victims were male; 14 were female. As of Wednesday afternoon, all tornado victims had been identified by the medical examiner. "Our hearts go out to all the people affected by this tragedy," said a statement from the Oklahoma medical examiner's office. "Of the 24 confirmed fatalities, all but one are now positively identified and are ready for return to their families. All the children have been positively identified." The first funeral for a child who died in Plaza Towers Elementary will be held Thursday morning, with two more happening Friday. Thursday is also the last day of school in Moore and teachers, parents and students are invited to attend open houses throughout the school district. It will mark the first time children and teachers return to the classroom since Monday's tornado. NBC News' Tracy Connor and Kate Snow contributed to this report.